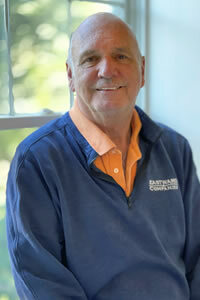 Dan is a long-time construction veteran with over 40 years in the industry. He joined the Eastward Companies team in 2011 as a Construction Supervisor. Dan's love of the business stems from learning from his architect father and building the family summer home in North Falmouth with his father and siblings. He attended Wentworth Institute of Technology in Boston where he studied Construction Management and returned to Cape Cod to raise his family. Dan oversees projects beginning with site preparation through framing, mechanicals and plaster when the finish team takes over. He is on site on a daily basis coordinating all subcontractor schedules and assuring all details are attended to while keeping clients informed at all phases. 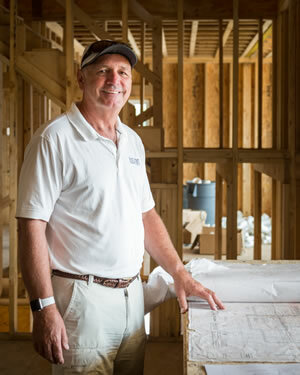 He has twice served as the president of the Cape Cod Chapter of the Home Builders Association. He has a Massachusetts Construction Supervisor License and a Massachusetts Home Improvement License. In his spare time, Dan enjoys spending time at Sandy Neck Beach with his wife and dogs and skiing.